Taking the old Edwardian underground station at Fulham Broadway and turning it into a 200-seat food hall, Market Hall Fulham is a genius idea. Carefully choosing the food traders who go in there is the secret to its success. Yes, it's a lovely space - a glass ceiling lets natural daylight flood in and many original features remain - but it's the quality of the food that will keep you coming back. With ten traders at the launch edition, you can choose from healthy Hawaiian salads from Ahi Poke or dirty burgers from Butchies (who are also on the roof of John Lewis this summer). You're spoilt for choice with the first west London Yard Sale Pizza, Indian street food at Calcutta Canteen, Thai bites at Thima by Farang, Fanny's kebabs, Hot Box, Soft Serve Society ice cream, Press Coffee and Claude's Deli. Cocktails are served from the old 1880 ticket counter and beers are by interesting brewers like Cloudwater, Wild Beer Co and Siren Craft Brew. 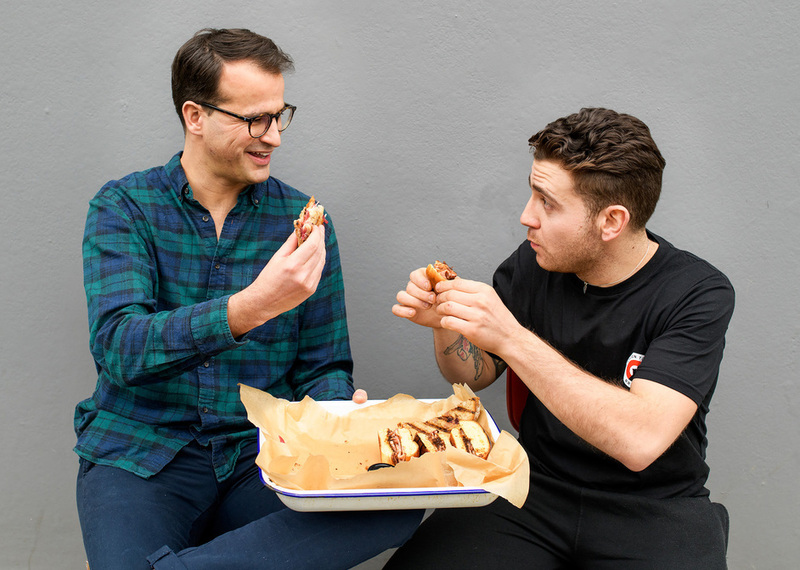 Fulham is the first of three Market Halls sites opening in 2018, an initiative by former property investor Andy Lewis-Pratt and Simon Anderson, the man behind Pitt Cue Co. Following Fulham, Market Halls open in Victoria where Pacha used to be in summer 2018 and - the giant flagship - Market Halls West End launches in autumn 2018 in the former BHS building, coinciding with the planned pedestrianisation of Oxford Circus. Market Hall Fulham gyms, sporting activities, health & beauty and fitness. The best pubs near London Market Hall Fulham. Market Hall Fulham clubs, bars, cabaret nights, casinos and interesting nightlife. Where to have your meeting, conference, exhibition, private dining or training course near Market Hall Fulham. From cheap budget hotels to luxury 5 star hotels see our special offers for Market Hall Fulham hotels, including DoubleTree by Hilton Hotel London - Chelsea from 81% off.